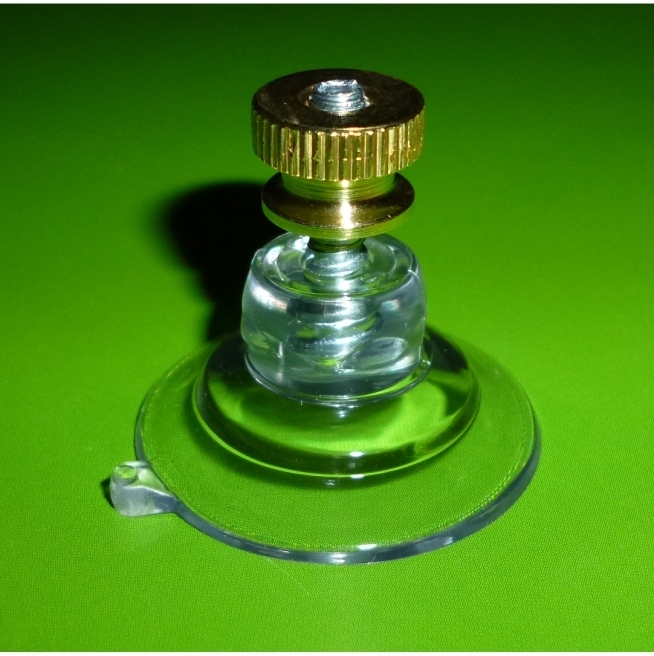 Suction cups with screw and brass nut. Suction Cups Direct. 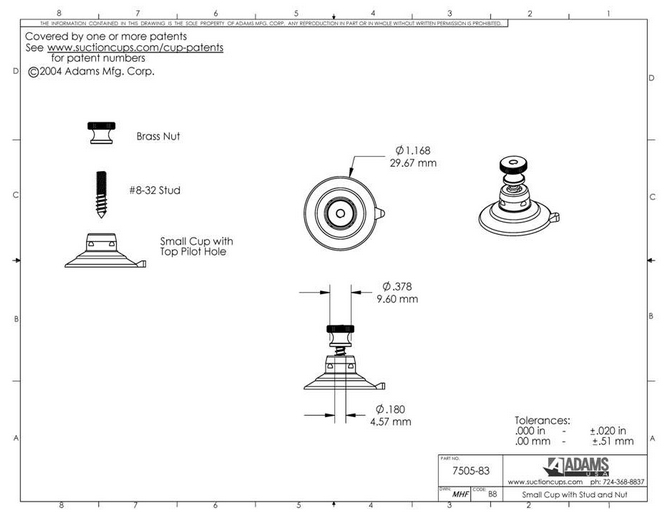 These products have a zinc plated carbon steel stud or screw and a brass nut. 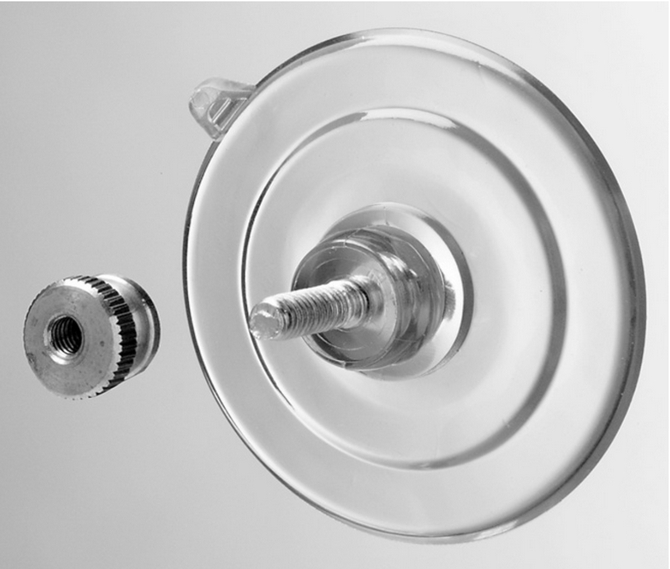 Suction cups with stud screws and nuts are great for point of sale jobs when securely attaching an item up to 8mm in thickness on a clean, flat, dry, non porous, non textured surface like glass, mirrors, glossy plastic, car body work or glazed ceramic tiles. Not available on next day delivery as this 32mm size product is assembled to order.